If you haven’t discovered Spacing Toronto, take a look. 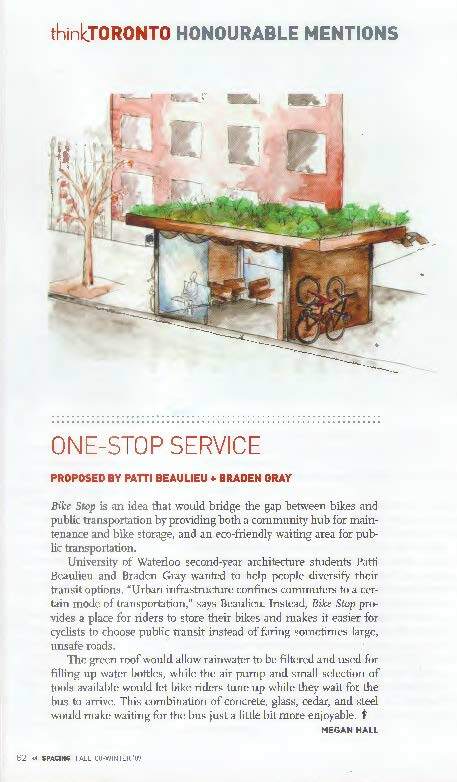 This entry was posted on Sunday, July 15th, 2012 at 7:13 pm	and tagged with Bike Stop, Braden Gray, Patti Beaulieu, Spacing Magazine, Spacing Toronto, Urban Design Ideas Competition and posted in Uncategorized. You can follow any responses to this entry through the RSS 2.0 feed.